New Ireland residents are better prepared to apply for Australia Awards scholarships after a series of information sessions in the province in December. Australia Awards provide Papua New Guinea’s next generation of leaders with an opportunity to undertake tertiary study, research or professional development in Australia. 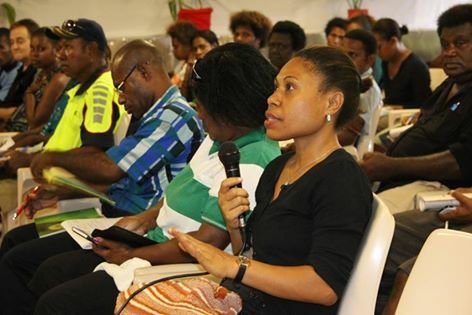 An Australia Awards roadshow in Kavieng provided information on the registration and application process, selection cycle, criteria and priority areas. Roadshows are visiting a number of provinces in 2015 and 2016 to help Papua New Guineans to prepare applications for study in Australia in 2017. Awardees can study for up to two years at participating Australian universities and tertiary institutions and return to contribute to the development needs of Papua New Guinea, in areas such as health, education, infrastructure, and law and justice. Women, persons with disability and people living and working in the provinces are especially encouraged to apply. Potential applicants are encouraged to be proactive about their career goals and begin the Australia Award Scholarship application process early so as to provide time to submit a high quality application.